Vermont has been treating us well. So well that the boys have taken to the dirt very quickly and they want to play in the dirt piles EVERYDAY! 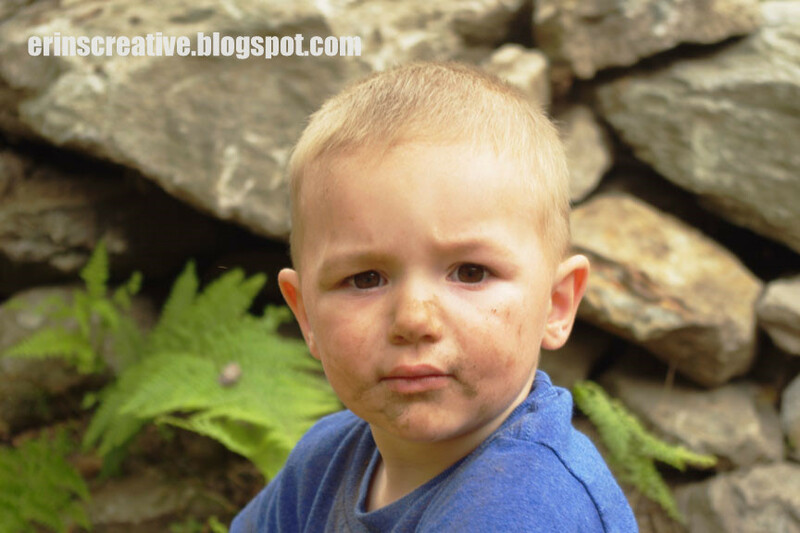 Living in suburbia doesn't give the kids much in the way of dirt to play with. So, while we are here, the boys are more than welcome to be boys and get dirty. Colton was a little mad at me for interrupting his dirt playtime, but I just had to get a photo of that precious, dirty face.